Antonio and Jose on their first visit together! Ten-year-old Antonio and his family choose a different cause to support each holiday season. When Antonio expressed interest in helping children with cancer this past December, his mom reached out to Family Reach CEO and old friend, Carla Tardif. Carla knew that Antonio, with his drive and generous spirit, would be a perfect fit for our Hope for the Holidays program. Funds raised through this campaign provide families fighting cancer with holiday essentials. Antonio was tasked with raising funds for Jose, a cancer fighter of the same age, and immediately set out on a mission. Jose is a kind-hearted boy surrounded by loving parents and three playful siblings. He was diagnosed with cancer in 2014 at just 6 years old. Jose overcame this early diagnosis and enjoyed his first years of school before relapsing in 2017, the same year his mom was diagnosed with Cushing’s disease. Jose’s father works full time while his mother looks after Jose and his three siblings. With two major medical conditions in the family and only one income, Jose’s parents began to feel the weight of each and every expense. They hoped to make Christmas memorable for their children, but the possibility was becoming increasingly unlikely. Antonio knew that creativity would be the key to his fundraising success. He began thinking about ways to sell something rather than simply ask people for money. Antonio’s first idea was to sell pop sockets. He was certain that parents from all across town would want one for their children’s stockings. Antonio used his iPad to make an inspirational video and asked his mother to post it to her Facebook account. They sold fifty sockets within the first hour. By the next morning, over 100 pop sockets had been sold! His mother immediately ordered another batch. Within the week, those had sold out as well. Antonio’s fundraiser continued to flourish and he was able to provide Jose’s family with much-needed holiday support. 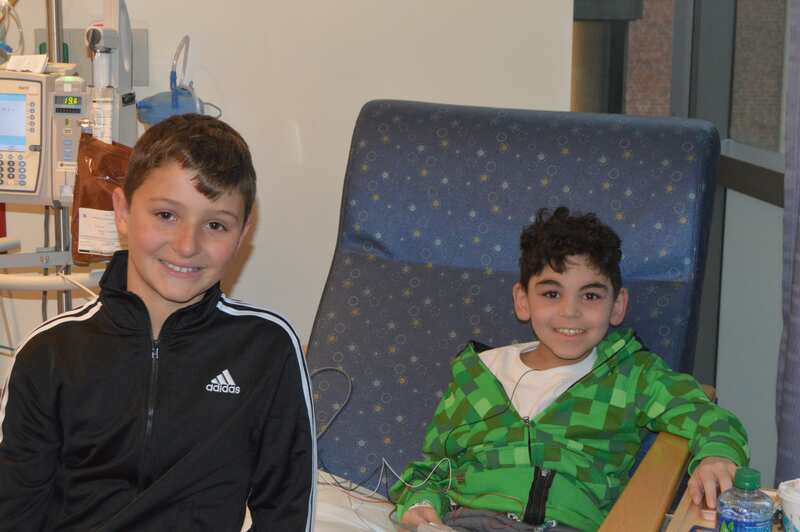 A few weeks later, Antonio received some amazing news – he would be able to meet Jose! Antonio and Jose hit it off during their meeting at the hospital. They bonded over all they had in common, especially their love of Pokémon. For this one afternoon, Jose was not a cancer patient. He was just a boy chatting with another boy about games, sports and cartoons. The two have kept in touch through phone calls and FaceTime. When Jose received the fantastic news that his cancer is in remission, he immediately called Antonio to tell him! This story of one young man’s mission to help his peer is a reminder to all of us of the difference we can make in the lives of those in need. Both Antonio and Jose continue to inspire us with their determination, strength and heart.